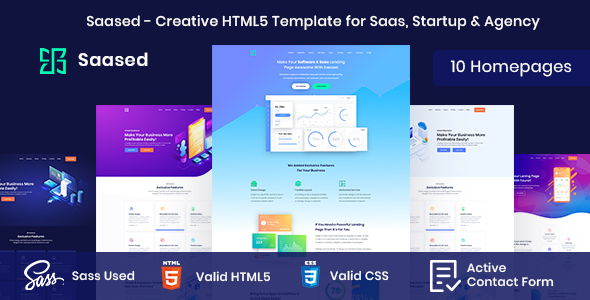 Saased – Creative HTML5 Template for Saas, Startup & Agency. You need a powerful & a stunning website for your business. We understand that and tried to create an awesome item to help All saas, startups and software companies. Our this item will fulfill your all requirements. If you buy this item then you can edit and customize it easily. Just change the images and texts to make it 100% fit for you.